Haq's Musings: Has Any Pakistani Leader Ever Received Warm Washington Welcome Like Modi's? Has Any Pakistani Leader Ever Received Warm Washington Welcome Like Modi's? After watching the Indian Prime Minister Narendra Modi's welcome in Washington this week, one of my blog readers asked me the following question: "Has Any Pakistani leader ever received a warm Washington welcome like Modi's?" The answer is: Yes, President Ayub Khan of Pakistan received a much bigger and warmer welcome in America than Indian Prime Minister Narendra Modi this week. Before I describe it, let me try and put things in perspective for my readers. Let's interpret Kissinger's quote to explain the crux of the shifting alliances since the end of the US-Soviet Cold War in early 1990s. The United States needed Pakistan to counter the Soviet influence in Asia until late 1980s. Today, America needs India to check the rise of China as a great superpower which is seen as challenging the United States as the sole superpower now. Even as the Obama administration courts Modi, the top US officials, including Secretary of State John Kerry and Treasury Secretary Jack Lew, are in Beijing for "Strategic and Economic Dialogue". It's an acknowledgment of the fact that the U.S. and China are the two largest economies in the world. American Treasury Secretary has described the US-China relationship as "the most important economic relationship in the world." Meanwhile, Pakistan is drawing close to China to broaden its strategic relationship with stronger economic and military ties. Joint military programs like the JF-17 Thunder combat jet and the $46 billion China-Pakistan Economic Corridor (CPEC) are manifestations of it. 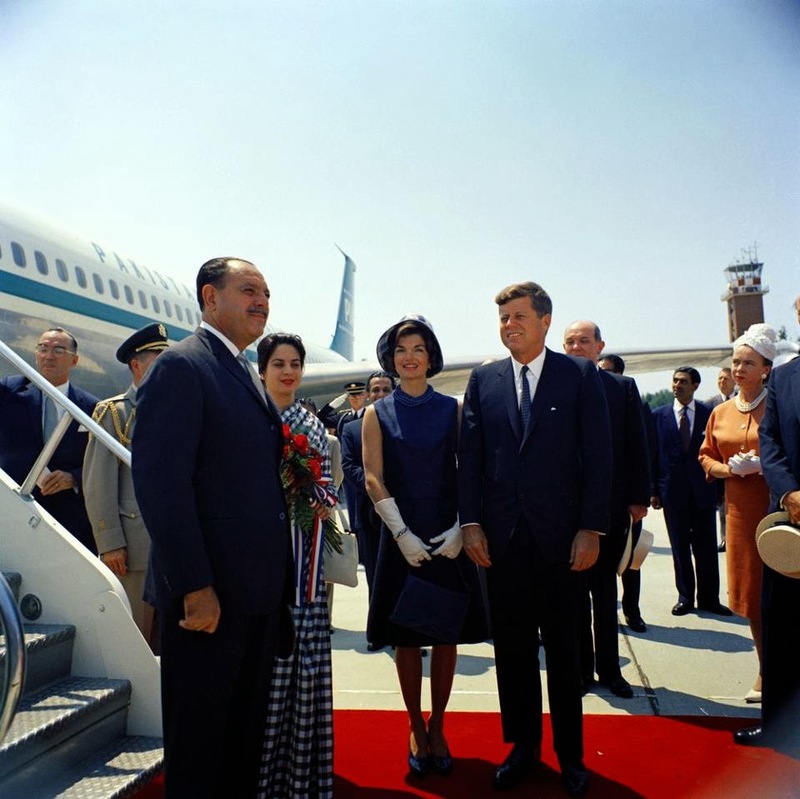 Now, let me describe in a little more detail Pakistani President Ayub Khan's 1961 visit to the United States. The fact is Modi's reception pales in comparison to what a Pakistani leader got during the Cold War. The Pakistani President was extended the rare honor of being welcomed by the US President and the First Lady at the airport when the PIA airplane carrying him landed at Andrews Air Force Base near Washington DC. He was also given the privilege of addressing a special Joint Session of the US Congress on Capitol Hill where he received standing ovation. Prime Minister Liaquat Ali Khan was the first Pakistani leader to address a session of US Congress back in 1950. Pakistani Prime Minster Benazir Bhutto also addressed a joint session of US Congress in 1989. 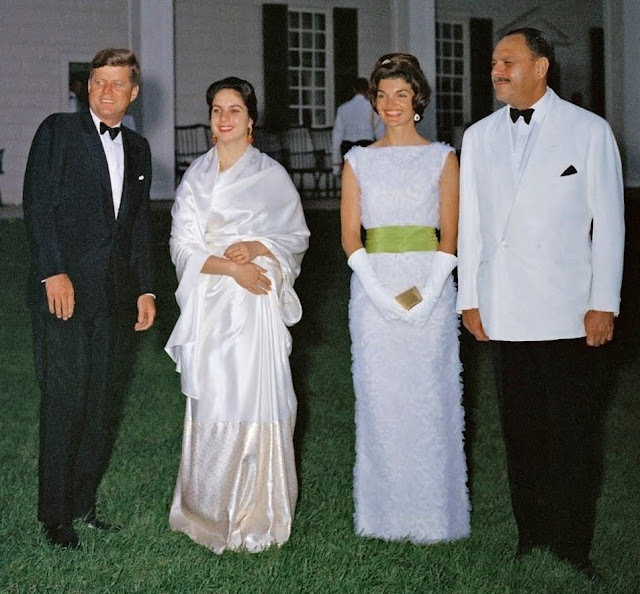 There was a state dinner in Ayub's honor hosted by President and Mrs. Kennedy at Mount Vernon, the historic residence of America's founding father and first president George Washington. Later, he was hosted at a dinner by New York City mayor after he rode an open top car in a ticker-tape parade through the Big Apple with tens of thousands of New Yorkers lining the parade route and cheering him on. Then President Ayub visited The Alamo in Texas where then Vice President Lyndon B. Johnson hosted him for a Texas style barbecue. Ayub Khan addressed joint houses of Texas legislature. On his way back, the then UN Secretary General Dag Hammarskjold of Sweden hosted a dinner in his honor before President Ayub returned to Pakistan. The fact is Modi's reception pales in comparison with what the Pakistani leader was given during the Cold War. Will Chinese Yuan Replace US Dollar as Reserve Currency? Proof positive Pakistani thinking has gone all wrong. Good luck in the future! My question is, did the Talibaan leaders, including the Haqqani's, ever receive a warm welcome in USA? Were they ever compared to the forefathers of the United States? Can the US Governments rap* their own compared forefathers for the interests of their country.....and perhaps their own interests as well? If the answer is 'Yes' to the questions above.....then India beware. Maverick: "My question is, did the Talibaan leaders, including the Haqqani's, ever receive a warm welcome in USA?" Once hailed by President Ronald Reagan as "moral equivalents of America's founding fathers" and described by US Congressman Charlie Wilson as “goodness personified”, the Haqqanis of Afghanistan are now bedeviling the US military efforts in Afghanistan and straining US-Pakistan alliance as never before. Trillion dollar question is - within 30 yrs of that "warm reception" Pak could engineer the collapse of the USSR- can India show such a feat vis-a-vis China? The only time in history when an official banquet was hosted in President George Washington's residence. How can a murderer of 2000 innocent in Gujrat and numerous thousand in Balochistan and FATA through state sponsored terrorism be given numerous standing ovations in the US Congress. The US has been duped by their unifocal focus on China. India will dump them when the chips are down. The issue is not who received better reception. The lesson here is that watch out India. US is known for dumping their "friends" as soon as their ends r met. Remember, divorce rate in U S is more than 50 %. Lol . How can Indian PM talk about equality of men when in his country, a Muslim cannot buy or rent property where've they wanted. Three khans in Bollywood and a token V. P do not represent the status of Indian Muslim. One should ask Modi if Kashmir indeed is an integral part of India, how come an Indian from Gujarat or UP or Rajasthan or Himachal or any other province cannot buy property in Kashmir. How come Srinagar is shuttered down on August 15 while Kashmiris hoist Pakistani flags on August 14. How come millions of Indian soldiers are posted in a civilian area. Can the leader of the so called "Biggest Democracy" explain why Amnesty International pointed out India as violator of human rights in Kashmir. friend. India's security and progress lies in making peace with Pakistan and Its other neighbors. Faisal T: " How can a murderer of 2000 innocent in Gujrat and numerous thousand in Balochistan and FATA through state sponsored terrorism be given numerous standing ovations in the US Congress. The US has been duped by their unifocal focus on China. India will dump them when the chips are down." There's nothing moral about US foreign policy. That's the only thing the US has in common with Modi's India. Such relationships are based on their common view of shared interests in the moment....not a recipe for long-lasting friendships. The question is not just the size of the Reception, it is the depth of the core of the relationship. The Cold War era reception was transactional. This reception is not just for Modi, it is for all Indians, for democracy, for commerce, for anti-terrorism, for peace, for the climate and more and more. This reception is symphonic and the sound of it will be more permanent. Ahmed: "What matters is what Modi gets out of the visit"
The price Modi pays for what he gets is just as important. Some people question the morality of the US policy on Modi, the butcher of Gujarat who was banned from entering the US for a decade, now getting a warm reception in Washington. Well, they need to be reminded of how warmly President Reagan received the Taliban to the White House and what he said about them in 1980s: "These gentlemen are the moral equivalents of America's founding fathers". Indo-US relationship of the current is not short term, and is in for the long term and will only mature like US-West Europe relationship. Already talks are in place for more relaxing Visa rules/regulations for Indians. Just wait and watch the power of Indian American diaspora. Indian diplomacy so far has been superb playing both US and USSR and getting massive aid and diplomatic support from both during the cold war when it was a nothing. And now playing up the US India partnership but also maintaining relations with Russia(It is still the ONLY country Russia has sold post USSR design weaponry and even a latest generation nuclear submarine to) and despite repeated urging NOT crossing any red lines vis a vis China like taking joint patrols in the South China sea. Just a factual correction: Reagan did not meet Taliban - he met the war Lords at that time. Taliban did not come into existence until 1994. Some of the gentlemen in this pictures actually fought against the rise of the Taliban in the 90s. I have no problem with the state policy of the US for PM Modi. He is the elected representative of 1.3 Billion people. Shahab: "Just a factual correction: Reagan did not meet Taliban - he met the war Lords at that time. Taliban did not come into existence until 1994. Some of the gentlemen in this pictures actually fought against the rise of the Taliban in the 90s. I have no problem with the state policy of the US for PM Modi. He is the elected representative of 1.3 Billion people." Being elected by over a billion people can not wash way the blood on Modi's hands. Taliban emerged from the "Mujahideen" supported by the United States. Even Hillary Clinton admitted to it when she said the US funded the terrorists we are fighting now. But I don't see the connection or contrast between these bearded nuts and Modi ? Are you saying US should not advance relations with India ? Malik: "But I don't see the connection or contrast between these bearded nuts and Modi ? Are you saying US should not advance relations with India ?" I am addressing the question of morality and of un-intended consequences of US actions. US support for fanatics, green or saffron or Jewish or any other variety, will have its consequences that need to be thought through now. Morality does not figure into state actions. It figures into actions of individuals. You can judge the morality of Modi's actions as the PM but to say that the Govt. of India as a whole is responsible would be a stretch even in the strictest sense of the word. States and governments don't function like that. I just got done reading the "Gujarat Papers" by Raana Ayub, a journalist of Tehelka.com, and it is very clear to me that there were characters in the state machinery in India who were trying to do the right thing and then there were those that weren't. People who were trying to do the right thing paid a price for that. The best you can hope for is for the culprits to get punished and for the innocent victims to get some semblance of justice. You can't have the entire state machinery condemned for the crimes of the few. If you start doing that, no state in this world can function for the majority of the people in the country. Shahab: "Morality does not figure into state actions"
all of these explanations you offer will not shoo away the inevitable unintended consequences of supporting fanatics of all stripes including Modi and hits Hindutva outfits. What blood? He was given a clean chit by Indian supreme court and that too during congress regime. One can't even think of questioning the legitimacy of the ruling. I dont know how courts in Pakistan are running but please dont contaminate us with your BS propaganda. Patel: "What blood? He was given a clean chit by Indian supreme court and that too during congress regime. One can't even think of questioning the legitimacy of the ruling. I dont know how courts in Pakistan are running but please dont contaminate us with your BS propaganda." Indian Supreme Court lost all moral and legal legitimacy in the eyes of all fair people in the world when it upheld the hanging of Afzal Guru, an innocent man. Afzal Guru was accused of carrying out an attack on Indian parliament in Dec, 2001. The Indian supreme court judgment acknowledged the evidence against Guru was circumstantial: "As is the case with most conspiracies, there is and could be no evidence amounting to criminal conspiracy." But then, it went on to say: "The incident, which resulted in heavy casualties, had shaken the entire nation, and the collective conscience of society will only be satisfied if capital punishment is awarded to the offender." This shameful Indian Supreme Court verdict to approve Guru's execution is a great miscarriage of justice with few precedents in legal annals. Senior U.S. officials held “candid discussions" with their counterparts in Pakistan Friday on issues, including the recent drone attack that killed the Afghan Taliban’s chief in Pakistan and put fresh strains on already uneasy bilateral relations. The prime minister’s adviser on foreign policy, Sartaj Aziz, led the Pakistani delegation. The U.S. team included Peter Lavoy, senior director for Afghanistan and Pakistan at the U.S. National Security Council, and Richard Olson, the U.S. special representative to the two neighboring countries. “The adviser conveyed a strong message to the United States that the May 21 drone strike was not only a violation of Pakistan’s sovereignty and a breach of principles of the United Nations Charter, but has also vitiated bilateral ties,” said a statement issued after the meeting. Pakistan, along with Afghanistan, China and the United States, was engaged in “serious efforts” to revive peace and reconciliation talks between the Afghan government and the Taliban, but the drone strike has “seriously undermined" those efforts, Aziz told the U.S. delegation. Pakistani authorities contend that Afghan Taliban leader Mullah Akhtar Mansoor had been about to agree to join peace talks between the warring sides in Afghanistan at the time he was killed in the drone strike. “It was emphasized that any future drone strike in Pakistan will be detrimental to our common desire to strengthen relations,” said the statement. The U.S. drone attack targeted and killed Mansoor while he was in a vehicle traveling through Pakistan’s border province of Baluchistan, under a pseudonym, following a secret trip to Iran. U.S. and Afghan officials have long maintained that Taliban leaders are freely using Pakistani soil for plotting and staging attacks in Afghanistan. Islamabad denies its intelligence agency supports the Islamist insurgency. U.S. delegates again raised that issue in Friday’s discussions. “In response to U.S. queries on safe havens for the Taliban, it was emphasized that Pakistan is already pursuing its objective of eliminating all militants and terrorists from its soil,” the statement said, referring to Islamabad’s counterterrorism measures. Pakistani officials conveyed to U.S. interlocutors their concerns about the presence on Afghan soil of fugitive militants of the outlawed Pakistani Taliban or TTP. “Pakistan also expects action by Afghan forces against TTP operatives in Afghanistan. These steps would also help to promote better relations between Afghanistan and Pakistan and reduce mistrust,” noted the statement. It quoted Lavoy of the U.S. delegation as reiterating that President Barack Obama was committed to improving relations with Pakistan. Despite renewed tensions, Aziz told reporters ahead of Friday's meeting that Islamabad’s relations with Washington “are still relevant and important.” He was responding to questions on whether deepening defense ties between the U.S. and Pakistan's archrival India were working in Islamabad. “If their relationship with India upsets the conventional and nuclear balance in the region, it would affect our ties and would also be detrimental for peace in the region,” said the Pakistani adviser. Members of the U.S. delegation later met with Pakistan's military chief, General Raheel Sharif. They were joined by General John Nicholson, commander of the Resolute Support mission in Afghanistan. A statement issued after the meeting said General Sharif expressed his “serious concern” about the U.S. drone strike and said that blaming Pakistan for instability in Afghanistan is unfortunate. “All stakeholders need to understand Pakistan’s challenges with regard to a porous border, inter-tribal linkages and the decades-old presence of over 3 million [Afghan] refugees,” Sharif told the U.S. delegates. Thanks a lot for sharing such a precious pictures. India is an emerging global superpower as its rapid growth has transformed its economy and has maintained itself as the world’s largest democracy. But at the same time India lags in many dimensions—its malnutrition rate is one of the highest in the world, its immunization rates are lower than most African countries, and Bangladesh has a better infant mortality rate. I argue that this is in part because the India state is “flailing”—its very capable head is not longer reliably connected to the arms and legs of implementation. In the four-fold transition of economy, polity, administration, and society the administrative capability of the state is lagging. I use examples from services like health, education, and routine transactions like issuing driver’s licenses to show that the agents of the state routinely do not implement the tasks they are assigned—causing a massive divergence between de jure and de facto reality. The paper concludes with speculations about the causes of flailing and possible future trajectories. With a population of only around 50 million, Central Asia will not become a huge market for manufactured goods. It will be twice as expensive for India to send goods to Central Asia through Chabahar than it would be overland across Pakistan. Indian goods are thus unlikely to be competitive against Chinese products shipped overland. The strategic advantages for India are also questionable. Its influence in Afghanistan will be more dependent on Iran. Pakistan’s cooperation will continue to be essential to restoring peace in Afghanistan. Indian shipping lanes to Chabahar will be vulnerable to disruption. India’s limited influence in Central Asia will not dent that of Russia and China. The new Great Game will increasingly revolve around China’s One Belt, One Road vision of land and sea connections between Asia, Europe and beyond. The China-Pakistan Economic Corridor (CPEC) is the first component of this ambitious project. In comparison to the Chabahar route, the strategic and economic implications of CPEC are enormous. It will transform China from a one- to a two-ocean power; enable a part of its $4000 billion annual trade to circumvent the Malacca straits and other potential choke points in the Indian Ocean and shorten China’s supply lines to the Gulf, West Asia and Africa. For these reasons, if no other, China has a vital stake in Pakistan’s strategic stability and socioeconomic development. The Chinese commitment of $46bn for CPEC projects is but the first instalment of the massive capital which China is prepared to deploy in Pakistan. Instead of being distracted by the moves of its adversaries, Pakistan must remain focused on the implementation of CPEC. This strategic enterprise should not be allowed to be stalled or delayed by external pressure or internal politics, inefficiency or corruption. It would be wise to create a separate and independent CPEC Authority which can be a ‘one-stop-shop’ entrusted with achieving CPEC’s enormous potential for Pakistan’s development. CPEC projects must go beyond infrastructure development to encompass manufacture, consumer goods, housing, health, textiles, finance and other sectors. To this end, the interaction between Pakistani and Chinese private- and public-sector companies must be actively expanded and intensified. Some of the externally imposed limitations on CPEC investment projects, such as restrictions on ‘sovereign guarantees’ for debt finance, need to be removed expeditiously. CPEC faces threats from Pakistan and China’s adversaries. These will have to be met forcefully. India’s opposition has been announced openly. New Delhi will continue to utilise Afghanistan as a base to destabilise Pakistan and undermine CPEC. The recent spate of attacks on Chinese workers in Pakistan is no accident. Pakistan will have to further enhance security for them and consider direct action to remove the Afghan-based threat from the Tehreek-i-Taliban Pakistan. Iran has assured that Chabahar is not designed to compete with Gwadar or CPEC. Pakistan and Iran can cooperate for mutual benefit: to end terrorism in Balochistan, expand trade, and construct the Iranian gas pipeline and a Gwadar-Chabahar economic corridor. However, Tehran often wants to run with the hare and hunt with the hound. Some recent events have sent disturbing signals which Pakistan cannot ignore. To balance the growing Indo-Iranian relationship, Pakistan must maintain and reinforce its relationship with Saudi Arabia and Turkey. It would be in Pakistan’s interest to help in giving substance and form to the ‘Islamic coalition’ hastily formed by Riyadh. It should also convince the GCC states of the benefits of CPEC as a path to their closer connection with China. On Thursday, the US Senate had rejected the bill on India's ‘global strategic and defence partner’ status. The US Senate has passed its draft of the National Defense Authorization Bill, which includes provision to set up a new fund to reimburse Pakistan for its efforts in war against terrorism. The $800 million has been authorized under a provision called the ‘Pakistan Security Enhancement Authorisation’, reports Dawn. The draft also fences $300m behind a similar Haqqani network provision that has existed in the annual defense authorization acts since the fiscal year 2015. The proposed reimbursement mechanism for Islamabad replaces the Coalition Support Fund (CSF), which was used to reimburse both Afghanistan and Pakistan for their efforts to combat terrorism. In total, Pakistan has received $3.1 billion since 2013 under the CSF. But this fund expires in the current financial year. The US Senate Armed Services Committee in a report filed with the draft Defense Bill called Pakistan “a long-standing strategic partner” and stressed on the need to continue a strong relationship with the country. It also noted that after 9/11, Islamabad has been a vital partner of Washington in efforts to combat terrorism in South Asia. While both houses of the Congress have passed their versions of the Defense Bill, now a conference committee will be formed to develop a consensus draft. After the consensus draft is passed from both houses of the Congress again, it will be sent to the President for signature. The bill also requires Islamabad to keep open ground communication lines to Afghanistan for receiving reimbursements from this fund. The House of Representatives last week also passed another bill, which linked $450m from a total of $900m proposed for Pakistan to take action against the Haqqani network. Congressman Rodney Frelinghuysen of Coalition Support Fund said it remained a critical tool to enable Pakistan to effectively deal with future challenges emerging from the US drawdown. "It also remains a cost-effective tool for the US to remain engaged in the region and with Pakistan. We shouldn't be abandoning Pakistan, because we might actually have something even worse than what the gentleman describes if we turn our back on Pakistan," he said. The India-Caucus, the largest country specific caucus in the us House of Representatives, is a pillar of support for relationship between the two countries and is well poised to play an important role in strengthening India-US ties, India's top diplomat to the US has said. Powerful and influential American lawmakers, including Chairman of the House Foreign Affairs Committee Ed Royce and its Ranking Member Eliot Engel along with the two Co-Chairs of the Caucus Ami Bera and George Holding, attended and addressed the reception during which they praised Singh's contribution in strengthening India-US ties.